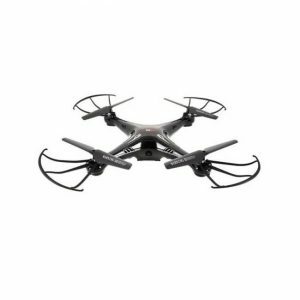 Buying the best RC drone is a challenging task because of course you need to shuffle the market and pick the option that’s the best amongst the wide available varieties. Thus, we bring to you the knowledge related to the different aspects that will allow you to make a wise choice. DJI is one of the top drone manufacturers on the market. The DJI Mavic Pro is DJI's most portable drone, packet with all the advanced features for ultimate experience. 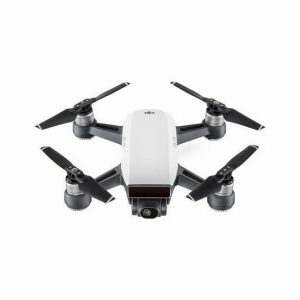 There is a big reason to call this one the best compact quadcopter, the DJI Mavic Pro features foldable design for easy transportation, is small enough to bring with you everywhere. The DJI Mavic is extremely easy to fly and produces great picture quality and 4K video. 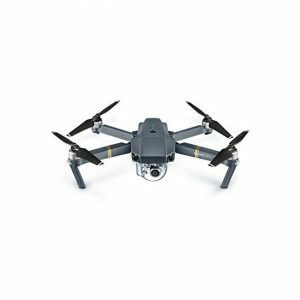 With a pretty high quality camera and excellent performances, the Yuneec Q500 4K Typhoon Quadcopter Drone is a complete air and ground imaging solution that captures 12 megapixel still images and professional 4K video. 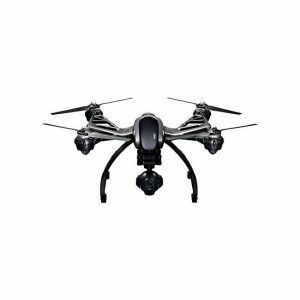 The Yuneec Q500 comes with a wide range of excellent specifications and it is very easy and safe to fly. The DJI Spark delivers good image quality and stabilized video. This small and lightweight drone comes with excellent features in a very compact and small package. The DJI Spark features mechanical gimbal stabilization and Intelligent Flight Modes that enable you to create cinematic aerial videos. The DROCON Drone is excellent choice for beginners. Real time video in high-definition can be displayed on your mobile or tablet devices, and the controls are simple and straightforward. 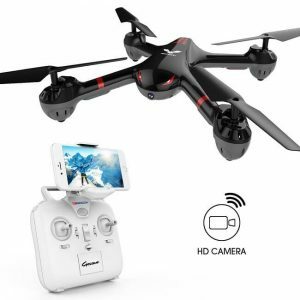 This simple, lightweight quadcopter drone for beginners offers HD video recording at 720p and a specific feature that will allow the unit to return itself to you automatically. If lose track of the drone, with just one click, the drone will return to its starting position. Reasonably priced and easy to assemble, the Syma X5SC headless mode six axis gyro RC quadcopter is the perfect starter drone for those wanting to capture cool aerial video of your friends doing assorted ridiculous stunts or to enjoy piloting unmanned aerial vehicles. The Syma X5SC features built-in 2MP HD camera, headless orientation control system, 6-axis flight control systems, more scheduled flight, 3D lock and colorful flashing lights. Technological evolution has launched such masterpieces, which we never had even dream of. Robotic machines, automatic control technology, smart indicators, super speed boosters, and so much more of technology, has definitely made our lives easier and indeed faster. Drones are multirotor, remote-control (RC) flying devices that offer a new way of looking at the world around you from never-before-imagined perspectives, and sharing those adventures through photos and video. Many drones offer live first-person viewing (FPV), putting you in the driver’s seat on an exhilarating joyride where you can explore and even race from a pilot’s point of view. If you’ve ever dreamed of competing in an air race or performing tricks and stunts with your fellow fliers in an air show, becoming a drone pilot might be the closest you’ll come to experiencing that thrill firsthand. The best drones on the market claim to offer the best experience when it comes to the range and other attributes. The renowned markets usually claim to offer the long range drone which could fly high to 100 m. Different companies launch different designs with its own unique features, and thus before buying, a complete detailed analysis of the product is very important. 100 mitres is quite an unreachable height, and so you should make up your mind to fly your RC drone helicopter at 30-40 mitres less than what the manufacturers claim. The flight time for most of the remote control drones is amid 5-15 minutes, and beyond that the batteries would demand charging that in it will consume almost an hour. Major numbers of companies do not offer battery in spares and thus you will have to pause your flying enjoyment for the next one hour until you charge the batteries to work. So make sure to choose a product accordingly. RC drones with camera come in different quality, and thus depending on what projects you are buying the drone for, you should pick a camera accordingly. Flying drones is fun, but to enjoy this amazement you need to take the legal laws into consideration. The laws on drones of different countries have varied implications; however it is advised under the legal rule that an individual should fly the drone within the range of his sight. The unmanned aircraft should be kept away from the open places which have more children or pets playing. Generally you will need a big open space for operating your remote control drones, and these open spaces are usually public areas. Thus, before you take control of the remote and let your helicopter hit the sky, you should make it a point to find out and read the legal rules prevailing in your country. The product price should rightfully deliver value for what you spend, and this becomes possible only when you get your demands satiated within reasonable prices. Wide range of drones are launched in the market under different brand names, and the prices also vary from one another. You need to whirl the market in order to find the most suitable product within your budget, and the ones that are offered in competitive prices. These factors are basically the steppers that will lead you to the most promising high quality drones available in the market.